Plus: How many people can’t name their MEP? Hint: A lot. 13,000,000,000 – The amount in dollars that JP Morgan Chase had to pay in a settlement this week for misleading investors during the housing crisis – the largest settlement ever between the US government and a company. 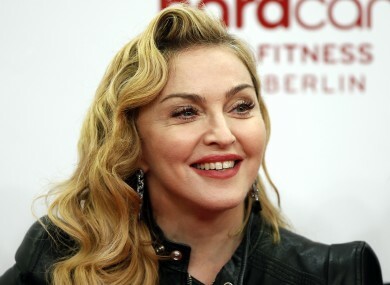 125,000,000 – The amount of money in euros that Madonna earned in the past year, making her the highest-paid musician in the world. Lady Gaga was right behind with $80 million. 45,000 – The guide price in euros of a Christmas tree farm up for sale in Dublin next month at what is being billed as the largest auction ever in Ireland. 12,000 – The number of blaas baked in Waterford every day. The noble bap was this week given the status of a regionally protected product by the European Commission. 1,217 – The number of sets of twins born in Ireland last year, according to new figures from the ESRI. There were 33 sets of triplets born in the country in 2012. 592 – The value in euros of any Bitcoin traded in China during the week. In comparison, one Bitcoin is worth €42 in the US and €474 in Europe. 91 – The percentage of Dubliners who can’t name their MEP, according to a survey carried out by a Fine Gael Senator. Ouch. 52 – The percentage of pig meat in Ireland that isn’t Irish, according to tests by the Irish Farmers Association. 50 – The number of charges that former solicitor Thomas Byrne was found guilty of in the country’s largest ever fraud trial during the week. The 47-year-old will be sentenced on 2 December. 30 – The number of years it has been since the members of Monty Python last collaborated. The comedy legends announced this week they are to reunite. 14 – The maximum number of years in jail a Dublin woman faces if found guilty of assisting in the suicide of another woman. The case will go before the courts next month. 5 – The term of office in years of the proposed directly-elected mayor for Dublin, under a draft report prepared by Dublin’s four local authorities. Email “Madonna, blaas and Dubliners: The week in numbers”. Feedback on “Madonna, blaas and Dubliners: The week in numbers”.